Edward Stanley, eldest son of the twelfth Earl of Derby, was born on 21st April, 1775. Educated at Eton and Trinity College, Cambridge, Edward Stanley, was selected as one of the two candidates for the town of Preston. The town of Preston had been under the control of Earl of Derby for many years. 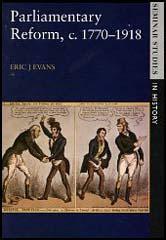 However, in 1796 agreed that one of the seats should be freely elected by the people of the town. Therefore in the election that followed this decision, the Earl of Derby's twenty-one year old son, Edward Stanley, and John Horrocks, head of the local millowners, were elected to represent Preston in the House of Commons. In the Parliament Edward Stanley supported, the Whigs. However, Edward Stanley rarely spoke in the House of Commons. By 1812 the Earl of Derby good no longer guarantee that his son would be elected to Preston and so he used his influence to give him one of the seats for the county of Lancaster. 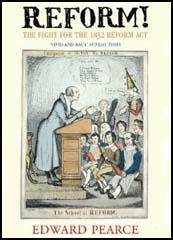 In 1819, Lord Stanley, took an role in defending the Manchester magistrates and the Manchester & Salford Yeomanry in the parliamentary debates that followed the Peterloo Massacre. Edward Stanley held his Lancaster seat until the passing of the 1832 Reform Bill. Stanley was still a loyal supporter of the Whigs and so Earl Grey granted him the title Baron Stanley of Bickerstaffe and was sent to the House of Lords. On the death of his father in 1836, Edward Stanley became the thirteenth Earl of Derby. He now ceased to play an active role in Parliament. Edward Stanley was appointed lord lieutenant of Lancashire and spent most of his later life at his home in Knowsley. Edward Stanley, thirteenth Earl of Derby, died on the 30th June, 1851. Orders were issued to bring some of the troops round to the point where the constables were stationed, and the Manchester Yeomanry being the first were moved forward. The crowd was so great that doubts were expressed whether the civil power could be effectively aided without some additional troops. The officer who commanded the Yeomanry, seeing an open space leading to the hustings, near the line of constables, and fearing from the motion of the crowd, that it would be blocked up, pushed forward to occupy it. The line of constables was broken by the crowd, who, however, retired, and made way for the trumpeter, officers, and first part of the body. In a short time, however, the crowd closed and obliged the remainder of the troop to move forwards to the hustings in single file. Some followed the officer directly up to the hustings, while others went round, by which means the cart was surrounded, and the warrant of the magistrates executed. At this period, considerable tumult prevailed, and a struggle ensued between the constables and those persons in the cart, who, wished to save the caps of liberty, banners, etc. Some of those who resisted were taken into custody, and the soldiers cut with their sabres. In doing this, it was possible that some persons had been hurt, but not intentionally. We understand from Captain Birley that the real state of the case was, that a part of the Yeomanry, when they approached towards the hustings were separated from the rest - that the individuals so separated from the rest were closed in on, and then assailed with stones and sticks, in consequence of which some of them faced around, in order to defend themselves. The situation in which these individuals were placed by the magistrates, who, on seeing what was going forward, thought it their duty, without delay, to order Colonel L'Estrange to move forward troops in support of them.